This information is taken from the event page on the Free Word Centre website and you can also find information on the Facebook. Hope to see you there! 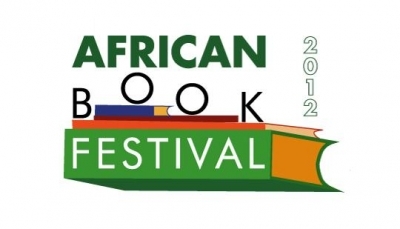 Curated by two childhood friends from Ghana – Will Essilfie and Nii Ayikwei Parkes – the African Book Festival is very much a festival about books. It evolved out of an earlier event run by Nii called the African Book Market, responding to complaints about a lack of range of books from Africa in bookstores. He invited publishers to send books at a discount and, where possible, authors to the Poetry Cafe and sales ensued – much more than anyone expected. The next year the event was run again, in partnership with the Free Word Centre in Farringdon but with a panel of writers and readers from Africa – Rachida Lamrabet of Morocco, Leeto Thale of South Africa and Ike Anya of Nigeria – discussing books and reading in Africa. Based on the positive response we worked to develop this festival. While we want to showcase writing from Africa, we essentially want to celebrate the publishers and editors who have worked to put literature from Africa into print. We also seek to fill the gap between the books published and the books that make it onto the shelves of bookstores. Nevertheless, we recognise the need to celebrate upcoming writers and will do so in an hour-long carousel to showcase new writers/books in short boxing-style rounds. In keeping with our discount-roots, all books at the festival will sell at a maximum of £5 for paperbacks and £10 for hardbacks. We hope you’ll join us for what we hope will be a groundbreaking festival. Buy your tickets now. A respected academic for many years, and a champion of emerging writers through his work as Associate Editor of the international journal, Wasafiri, Abdulrazak Gurnah is uniquely placed to comment on the position and possibilities of African writing and publishing. Issues of identity and displacement – common themes in his work – have uncanny parallels with the lives of African writers, many seeking success away from home. Patience Agbabi, Kayo Chingonyi and Warsan Shire are three of the finest poets published in recent years, but they also have that quality that sets real lovers of the music of language apart from mere poets – they deliver their work beautifully out loud, drawing out – from tongue and tooth – emotional responses that ink can not deliver. They are on stage together for the first time ever to launch the readings programme of the inaugural African Book Festival. With the increased visibility of genre-fiction from Africa, Western commentators have wondered if a new age has come, only to be told by the young novelists they interview that Cyprian Ekwensi came before, and Kojo Laing was re-framing language before any of the new pretenders. With an eye on this forgotten past, Ellah Allfrey and Goretti Kyomuhendo, explore the opportunities in African publishing as well as the gaps – for example, the relative dearth of non-fiction writing and the difficulties faced in getting a true reflection of the work written in Africa in the output of the global publishing industry. New writers rarely come out of nowhere. They write and, sometimes, do readings away from the eyes of the mainstrem – in some cases (as with Chris Abani) they have been published in their countries of origin without making a splash in the world outside their borders. The African Futures Carousel gives you a chance to peer into the gap, see the future before it happens. The spotlight is on Tina Okpara, and her memoir, My Life Has A Price. For a continent of its size and history, Africa produces little in the way of non-academic non-fiction. Sporting heroes and giants of industry come and go, leaving no document of their trials and achievements. However, there are writers from the continent – young and old – writing authoritative , accessible non-fiction on subjects ranging from cookery to colonialism. Musa Okwonga, a football writer, and Hannah Pool, a memoirist – both journalists – are just two of the finer exponents of the varied non-fiction writing originating from the continent. The two novelists featured in our festival-closing reading are authors of books that deal with trauma and the ways in which human existence reconciles itself with the aftermath of treacherous acts. In Alastair Bruce’s Wall of Days we get a glimpse of the point beyond the possibility of reconciliation, while in Aminatta Forna’s prize-winning The Memory of Love we are plunged into the immediate aftermath of Charles Taylor’s bloody interference in Sierra Leone. Arts Council England and London Central.